$99 Cleaning Special: Prophylaxis, examination and necessary x-rays. Teeth Whitening Special, comes with 2 custom trays and whitening gel to take home. New patients only: after full mouth X-ray, prophylaxis and examination, billed to PPO contracted insurance. Cannot be combined with other offers. 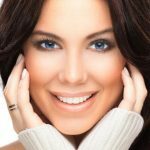 What about Invisalign treatment? Do you provide it? Dr. Jou and Dr. Lai. Implants and restoration services are very much a part of our suite of specialized services. Do you offer cosmetic restoration services? 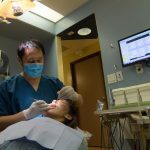 We are experts with proven results in Lumineers, traditional veneers, and cosmetic bonding. Any specific whitening services provided at the center? Patrons are offered ZOOM 1 hour whitening services, and custom trays containing whitening gel as carry home kits. Can I request a weekend appointments? A: Affirmative You can meet us on Saturdays,but only by prior appointment. Is English the only language spoken office? If you are comfortable in Cantonese or Korean, you are in luck. Dr.Lai converses in fluent Cantonese, while Dr.Jou speaks Korean. Q: Which insurances do you accept at your center?